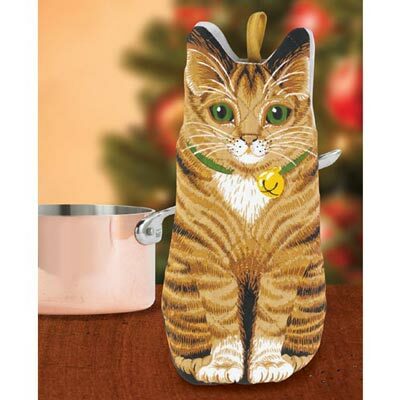 Cat Oven Mitt is a helpful companion at the kitchen stove or the backyard grill. Charming too! Sturdy, double-sided, quilted cotton with thick padding. Machine wash. Imported. 12"l.